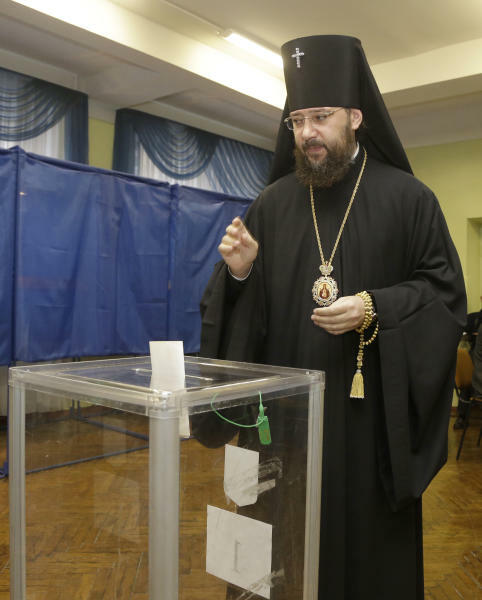 KIEV, Ukraine (AP) — Ukrainians voted in an election on Sunday that was expected to maintain President Viktor Yanukovych's parliamentary majority, despite his rollback on democracy during nearly three years in power. Yanukovych's Party of Regions appeared to be capitalizing on the three issues: the jailing of the charismatic opposition leader Yulia Tymoshenko, a former prime minister; a divided opposition camp; and Ukrainians' overall disillusionment with politics. The West is paying close attention to the conduct of the vote in the strategic ex-Soviet state, which lies between Russia and the European Union and is responsible for transporting energy supplies to many EU countries. A strong showing by the Party of Regions would cement Yanukovych's grip on power and likely turn Ukraine further away from the West. Ukraine's relations with the West have soured over the jailing of Tymoshenko, which prompted the European Union to shelve a long-awaited partnership deal with Kiev. 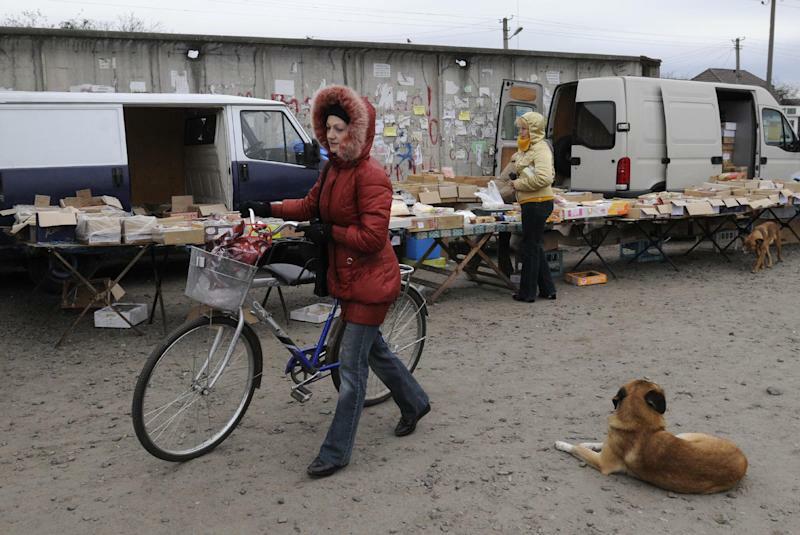 If the West turns a cold shoulder to Ukraine, Moscow is likely to court Kiev to create a greater economic and political alliance. The pro-Western opposition groups hope to gain enough parliament seats to weaken Yanukovych's power and undo the damage they say he has done: the jailing of Tymoshenko and her top allies, the concentration of power in the hands of the president, the snubbing of the Ukrainian language in favor of Russian, the waning press freedoms, a deteriorating business climate, and growing corruption. But the opposition has been weakened with the jailing of Tymoshenko, the 51-year-old heroine of the 2004 Orange Revolution which threw out Yanukovych's fraud-tainted victory in a presidential vote. Tymoshenko's party is running neck-to-neck with another pro-Western group, the Udar (Punch) opposition party led by world boxing champion Vitali Klitschko. Klitschko's party has gained popularity in recent months, capitalizing on voter disappointment with both Yanukovych's rule and Tymoshenko's years in power that were marked by constant bickering in the Orange camp. "We've tasted both the orange and the blue, and life hasn't changed for the better," said Zhanna Holovko, a 43-year-old high school teacher in Kiev, referring to the campaign colors of the Orange revolution team and Yanukovych's party. "I am voting for a third force that I can trust," Holovko said after casting a ballot for Klitschko's group. 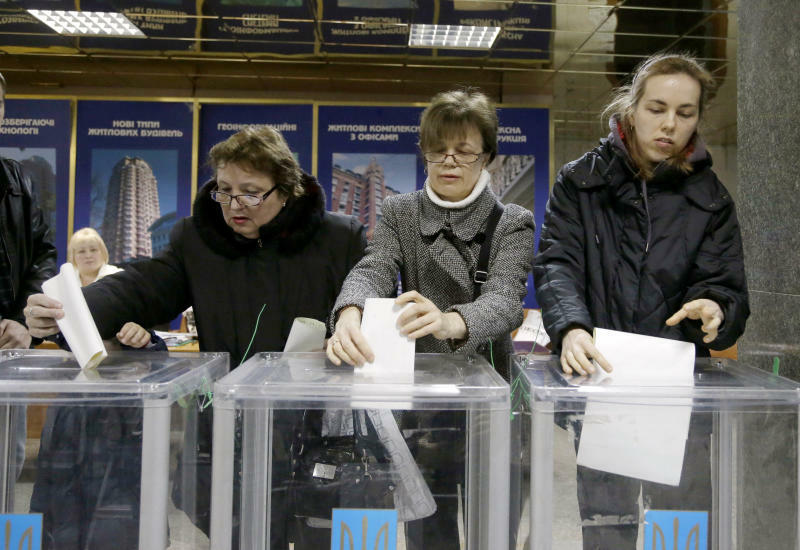 The opposition's failure to form a strong alliance has played into the hands of Yanukovych. While Tymoshenko's and Klitschko's parties are expected to make a strong showing in elections by party lists, half of the 450 seats in the Verkhovna Rada parliament will be allocated to the winners of individual races, in which Yanukovych loyalists are expected to take the lead. Yanukovych has centered his party's campaign on bringing stability after years of infighting in the Orange camp and relative economic recovery after the global financial crisis, which hit Ukraine severely. Yuras Karmanau contributed to this report.